The Lake Naomi Chalet You Have Been Dreaming Of. Well Loved, Enjoyed and Updated, with a Superb Setting. Welcoming, Living Ambiance with Brick, Gas Fireplace, Exposed Beams, Tasteful Kitchen with Fine Cabinetry, Hardwood Laminate, Stainless, Granite and Recessed Lighting. 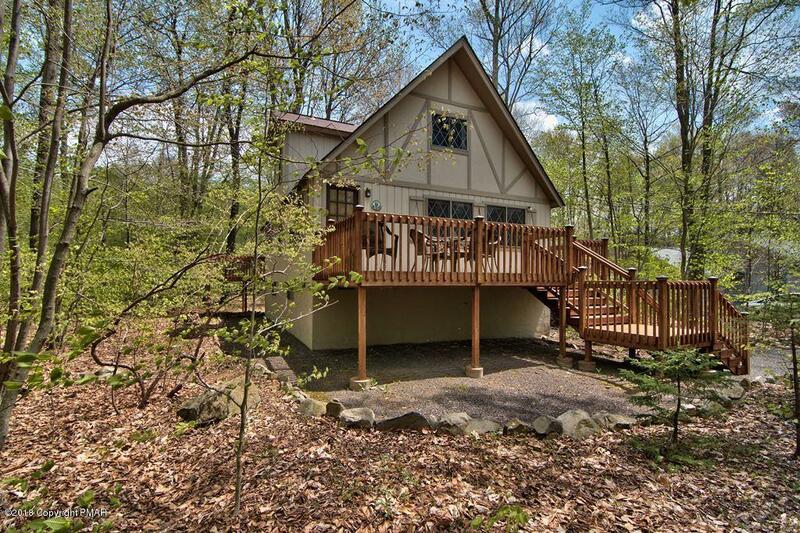 Two, Enchanting 1st Floor Bedrooms with Deck Access, Open to Private, Wooded Splendor. Sunrises, Coffee on the Deck and Bird Melodies are the Perfect Start to Your Relaxing Day at the Lake. Two Beautiful, Updated Bathrooms, Sure to Please. Spacious 2nd Floor Bedroom and Sleeping Loft, Make Room for Your Loved Ones. Stand Up Crawlspace, Great for Your Boat Storage and Play Gear. Always Have Your Fishing Pole Ready, Just a Short Stroll to Trout Pond. Close to Lake & Pool too.